For all its perks, living in a dorm room is not without risk. In particular, theft is relatively common on college campuses. No matter how good the security measures are, it’s nearly impossible to prevent theft when valuable items are left out in the open. Wallets, cellphones, laptops and other electronic devices are especially vulnerable, and without some form of protection they can become an easy target for any visitor or passer-by. The SentrySafe X075 Security Safe is one possible solution, but is it worth the money? 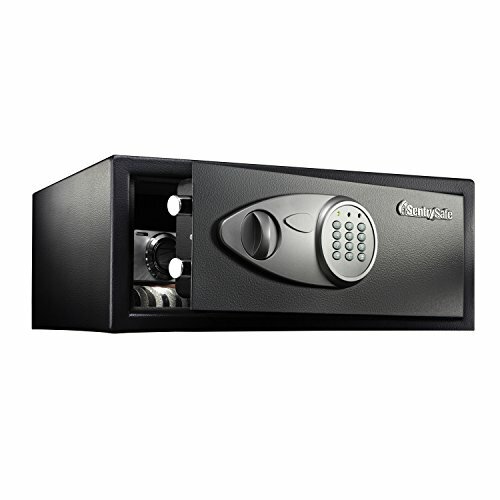 The Sentry X075 is a compact security safe featuring an electronic keypad lock and a manual override key. At 14.6 by 16.9 by 7.1 inches, it’s small enough to fit comfortably in a small dorm, whether under a bed, in a closet or anywhere else free space is available. The body and door are constructed from solid steel, while the floor of the interior is carpeted to prevent damage to valuables. The safe comes with keys, batteries and hardware to mount the safe to the floor or wall which you won’t be able to do in your dorm room, so you will need a cable lock to keep the safe from walking away. A removable shelf inside the safe provides flexible storage options, and a pair of holes in the rear panel provide optional access for a security tether and power cords or other cables. 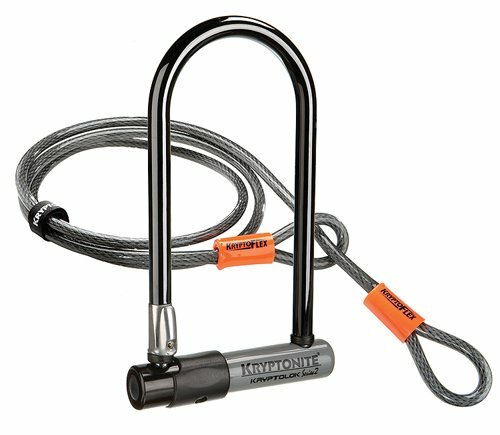 I used the MasterLock 1519D padlock and the end threads easily through the back of the lock which is inside the safe. Because I put the combination lock inside the safe, I left the combination code label on the lock so if I ever forgot it, the code would be handy. The safe is large enough to keep a laptop. I used my laptop with a 16″ diagonal screen and it fit through the door with no issues. The SentrySafe X075 is operated by an electronic keypad on the door, which is powered by four AA batteries. A custom passcode, consisting of between two and eight digits, can easily be set or changed at any time. To open the safe for the first time, enter 17500 and the green light will come on, leaving you with 5 seconds to turn the knob to open the safe. Since there is a factory code it is important to program a new one. To do so, open the door, remove the battery cover and press the key button inside the battery compartment on the door back. The yellow LED will turn on and then you enter a new 2-8 digit code followed by the # button. The yellow LED will go off to indicate the new code has been accepted. The lock can also be manually operated without the keypad by using the included override key. Because the keypad is powered by batteries, the override key may occasionally be needed to open the door and replace them. To access the key lock, simply remove the cover with your fingernail or flat head screwdriver and pop it out. When the safe’s batteries get low, the red light above the keypad will come on. At that time, you will want to open the safe and replace the batteries in the door. The safe uses 4 AA batteries and they are housed in the door. The SentrySafe X075 is the lowest price laptop safe in this group and is compact enough to work well in a dorm room, but it doesn’t skimp on storage space. While the interior isn’t exactly cavernous, there’s enough usable space to store a tablet or mid-sized laptop along with an assortment of other small items. The safe is reasonably well-constructed, and the keypad offers quick and convenient access without sacrificing security. Of course, the Sentry X075 is not without its flaws. Though the steel body is sturdy and the locking mechanism functions well, the safe will offer little resistance to a determined thief. According to several reports and videos online, the door can be pried or broken open with some simple tools and enough force and some plastic parts used in the keypad and locking mechanism aren’t very robust. However, despite its shortcomings and the likelihood that there will be people in your residence hall with nail files, drills and hammers your stuff should be pretty fine inside this safe. Keep in mind, especially at this price point is that the X075 is a theft deterrent and not a high-security safe and is an effective theft deterrent in a convenient, space-saving package. When it comes to basic security for a dorm room setting, there are far worse options than the SentrySafe X075. The Sentry x075 is a solid pick, well built and of decent quality. The size is between the Barska AX11224 and the Stack-On PS508 and is adequate to put in a laptop and other items.